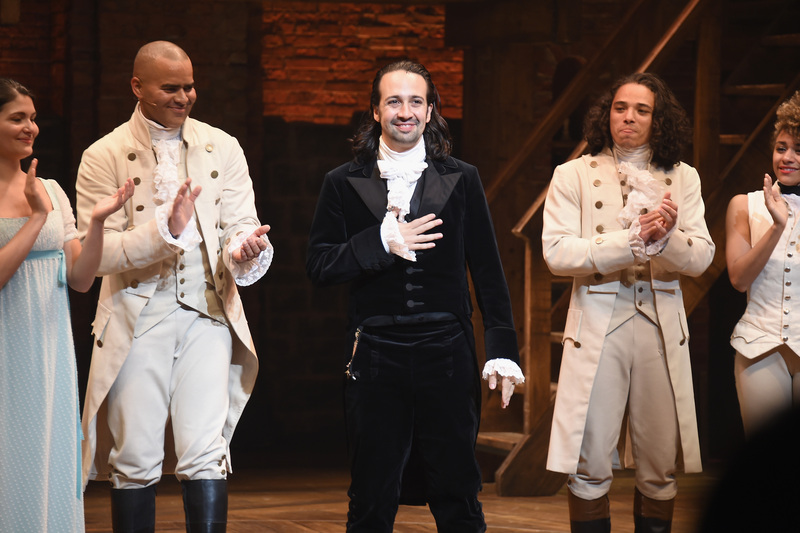 Tickets to Hamilton aren't easy to get, but seeing the show just got a whole lot easier. And even better, it can be done from the comfort of your own home. To coincide with the upcoming release of the Hamilton Mixtape, the musical is running a livestream of the Hamilton Mixtape concert. The show will be filmed live on the Hamilton stage at the Richard Rodgers Theatre in NYC on Thursday, Dec. 1 at 1 p.m. EST. Fan can catch the stream live via the official YouTube channel for Hamilton: An American Musical, but if you happen to miss it, don't worry, it will be there for you to watch later over and over again. Definitely no judgment if any or all of those viewings occur while you're wearing sweatpants. While this is not a livestream of the actual show, it's an event that promises to be star-studded. According to a press release from Atlantic Records, this "exclusive event will include performances from artists from the highly anticipated Hamilton Mixtape," out Dec. 2. Some of the impressive artists featured on the album include Kelly Clarkson, Alicia Keys, John Legend, Sia, Chance the Rapper, and Jimmy Fallon & The Roots. No official lineup has been revealed for the event, which definitely adds a little excitement to the stream. Seriously, with that list, how could you go wrong? Here's to hoping Hamilton creator Lin-Manuel Miranda isn't too busy promoting Disney's Moana to stop by for a song or two. The show is being billed as "an unprecedented #Ham4Ham," which was the free mini-concert series that took place outside the Richard Rodgers Theatre each night before the show. They became known not only for their surprise guests, but the fact that they would take over the entire street with fans just looking to be part of the action — even if they didn't have a ticket. #Ham4Ham has since gone to the wayside, at least for now, but this plans to keep that magic alive. The best part is, you don't have to travel to New York to see it.